26 Jul 2018 --- Consumers will be getting an extra rush on their next theme park trip – provided they bring along a used plastic bottle. 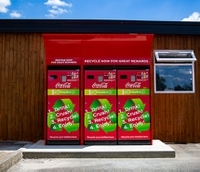 Coca-Cola GB and Merlin, the UK’s largest visitor attraction operator, have partnered to roll out “reverse vending” machines at selected sites which will offer 50 percent off admission with the donation of one plastic bottle. “Through this exciting new trial with Merlin Entertainments, we hope to remind people how valuable their empty plastic bottle is. All of our bottles can be recycled and we want to get as many of them back as possible so they can be turned into new bottles and not end up as litter,” says Jon Woods, General Manager of Coca-Cola Great Britain. The summer trial will run between July 25 and October 19 and invites people to bring and recycle any 500ml Click to Enlarge plastic bottle via an on-site “reverse vending” machine. Unlike traditional vending machines which dispense drinks, these machines will dispense rewards in the form of discounted entry at 30 of Merlin's attractions. It is hoped the technology will incentivize families to recycle after the soft drink giant commissioned research that established that 64 percent of Britons would recycle while out and about if rewarded. Currently, British consumers use 13 billion plastic bottles a year, but only 7.5 billion are recycled, according to a report by the Environmental Audit Committee. Click to Enlarge“This partnership with Coca-Cola Great Britain demonstrates our aligned ambition to use our brands as a force for good. We’re constantly looking for ways to raise awareness and help contribute to a better environment. 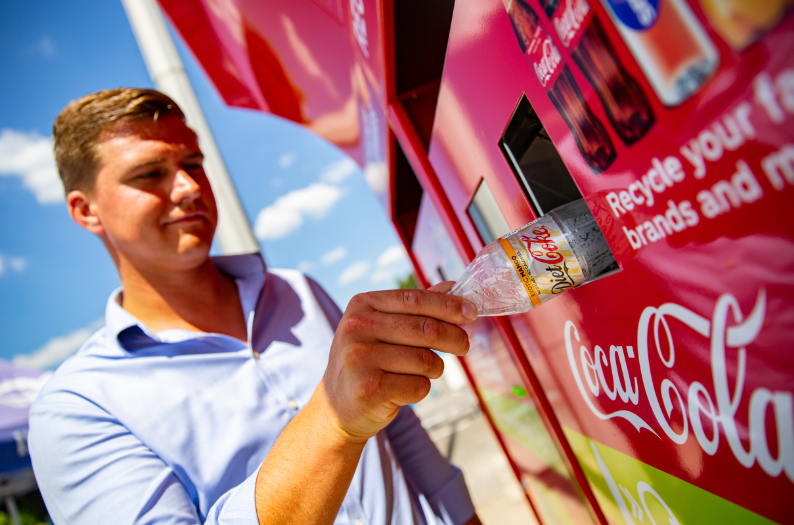 As a responsible business and an advocate for marine conservation, we’re pleased to be joining forces with Coca-Cola to encourage people to recycle more this summer, by rewarding them with family fun,” says Sandra Hazel, Head of Force for Good at Merlin Entertainments. The announcement comes a year after Sea Life Brighton launched “The Loop” project in conjunction with Coca-Cola Great Britain to encourage recycling of plastic bottles and raise awareness of marine conservation. To date, the project has recycled over 11,000 bottles sold at the Sea Life Centre. 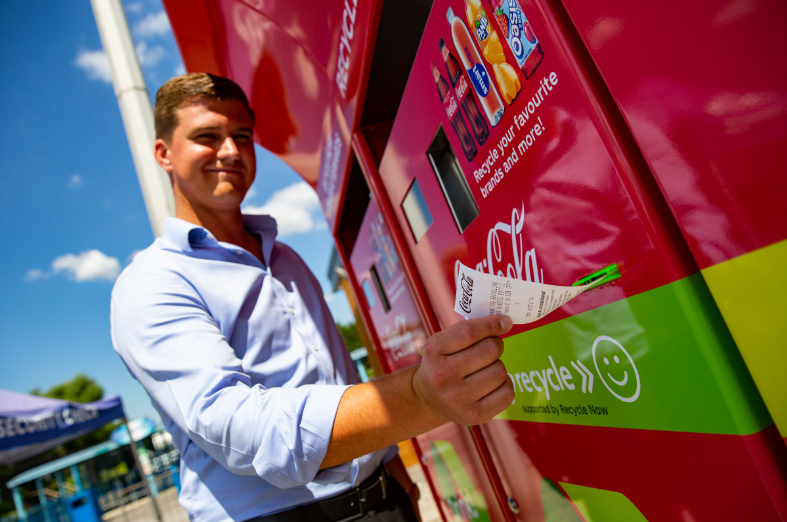 A key component of the typical Deposit Return Scheme (DRS) technology is incentivizing consumers to “do good” through the promise of a reward, money in the case of supermarket DRSs and discounts in the Coca-Cola foray at UK attractions. DRSs have been gaining popularity in the UK, with backing coming from Tesco, Iceland, Morrisons, the Co-op and Coca-Cola. The schemes are to form a larger part of the country’s bid to increase recycling rates, which are lagging behind countries such as Norway, who boast high recycling rates. 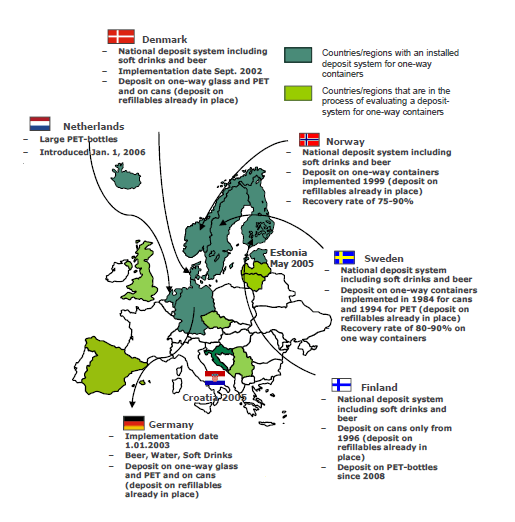 In Oslo, it is estimated that 93 percent of all single-use packaging is collected via DRSs. UK Environment Secretary Michael Gove has set up a working group to further investigate how to reduce single plastic use, which includes taking a deeper look at DRSs. Iceland, the Co-op and Morrisons are among the supermarkets that have already launched small-scale trials of the machines. Time will tell if the promise of rewards can drive up the UK's flagging recycling rates.